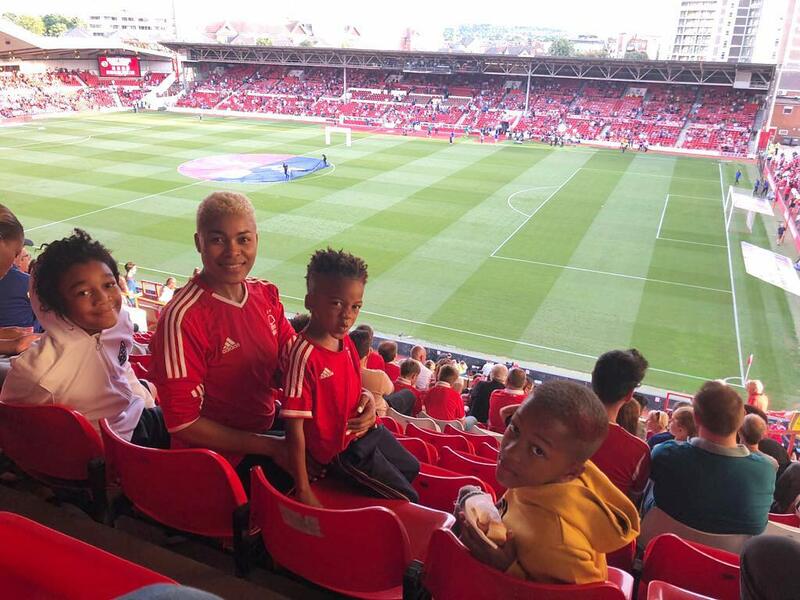 My beautiful wife @beverlyuangel is mother of the century... she hates football like mad but she knows two of her boys Seth and Jude-Eloi are footie addicts so she has to be at Nottingham Forest and has to pretend she loves football too. I can’t. Uebert Angel.